A 58 Year old lady presented to an emergency service of another hospital a day after Diwali festival with acute chest pain. 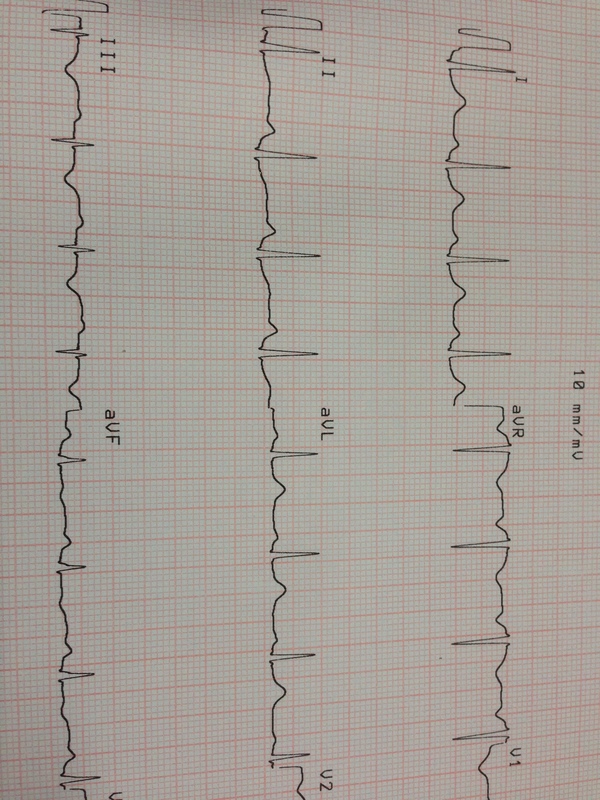 Her ECG showed T wave inversion in anterior and inferior wall leads. Her Troponin I was negative. Her ECHO was reported as normal. She was managed as an acute coronary syndrome in that hospital. The ECG is given below. She was discharged with partial relief of her pain with a prescription of high dose statin, clopidogrel , aspirin , anti anginals and PPI. . She was advised to report back if symptoms worsened for a coronary angiogram. As she was not getting better , she went to a different cardiologist , who revised some of the anti anginals. She was still not getting better . Now she was having chest pain and vomiting and she came to me for consultation. 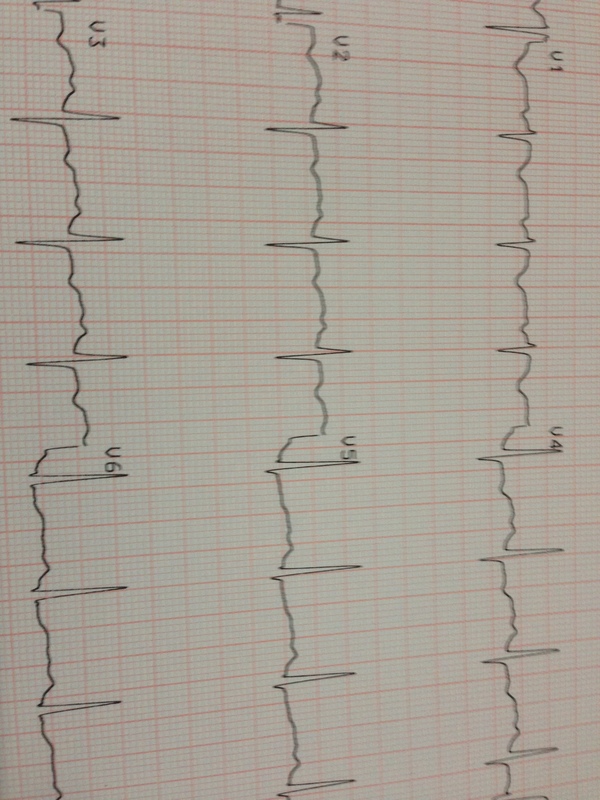 The ECG showed similar changes. On examination she had tenderness over Murphy’s point. 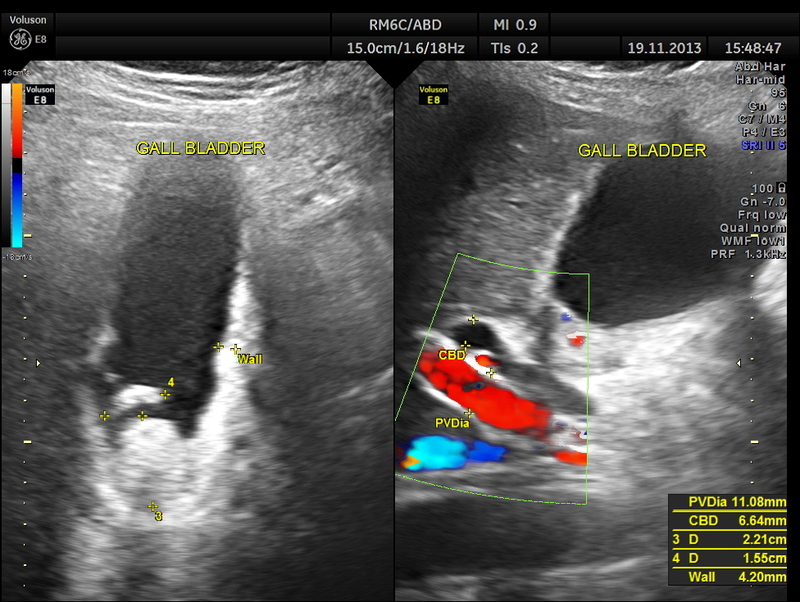 Her abdominal scan revealed a distended gall bladder with two big gallstones and one of them was obstructing the cystic duct. 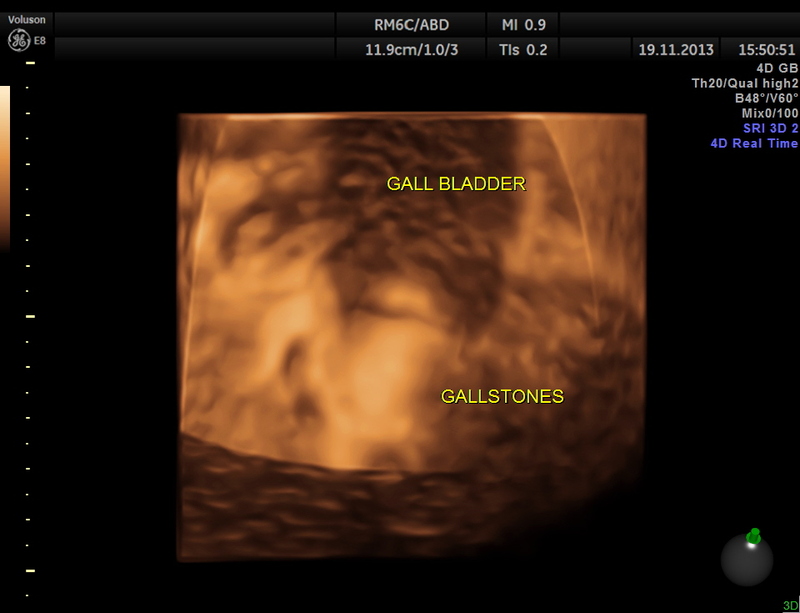 She had acute cholecystitis with gallstones causing obstruction of the cystic duct. She was referred to the surgeon and underwent laparoscopic cholecystectomy and was found to have empyema of gallbladder due to the obstruction. She had an uneventful post operative period . This case is presented here to underline the fact that acute cholecystitis can mimic acute coronary syndrome and can have non specific T wave changes. Beware. I think AC cholecystitis is a D.D for ACS,but for the ECG which misguided this case?There was no sign of Obst Jaundice?Thanks for reporting this interesting case,Narayanan. 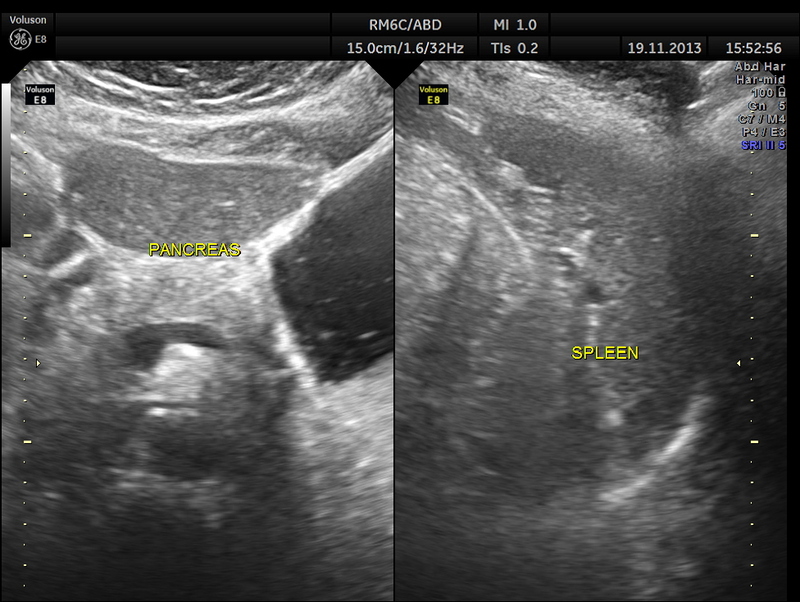 No jaundice; but SGOT & SGPT mildly elevated. Thank you for this so interesting information. And we have to be a good clinician ..(history anamnesis and phisical exam!! !